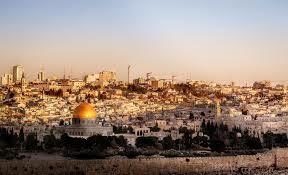 Traditionally, Palestinian has meant Jewish, Palestine referring, geographically to Eretz Israel. After a series of failed attempts by Arabs to exterminate the indigenous people of Israel, i.e.Jews, the Arabs switched tactics, believing they could destroy Israel through deception. At long last the U.S. is correcting the PC lies of the Islamic dictatorships and the hard left by correctly referring to the "West Bank" as Judea and Samaria, the correct, historic names for this region. The corrupt "Palestinian" Ministry of Foreign Affairs on Monday condemned the US State Department for dropping the term “occupied territories” when referring to the Judea and Samaria region in its annual human rights report. The ministry, laughably said in a statement that “this act is another one in a long list of US actions and policies targeting Palestine and the Palestinian people”. Most readers know that the worst enemy of the Arabs that like to call themselves "Palestinians", is Hamas and Fatah, criminal terrorist gangs. “The current administration of US President Donald Trump has abandoned its respect for international law and has actually taken steps that violate this law by implementing illegitimate and illegal positions on Palestine and the Palestinian-Israeli conflict,” the Palestinians charged. While the term “occupied” had been used in such reports since the Carter administration, the 2017 version drops this term, which is used pejoratively to criticize Israeli policy following military victories through which the Jewish state acquired control of various territories. The change comes after US Ambassador to Israel David Friedman advised the department in December to stop using the “misleading” term “occupied” in references to Judea and Samaria. The term “occupied” is considered by many to be a loaded phrase intended to demonize Israel with regard to its activities in disputed areas. Celebrate Israel’s 70th Birthday. 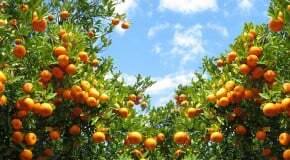 Plant Fruit Trees Today!